Great starter set up for the would-be vending operator. 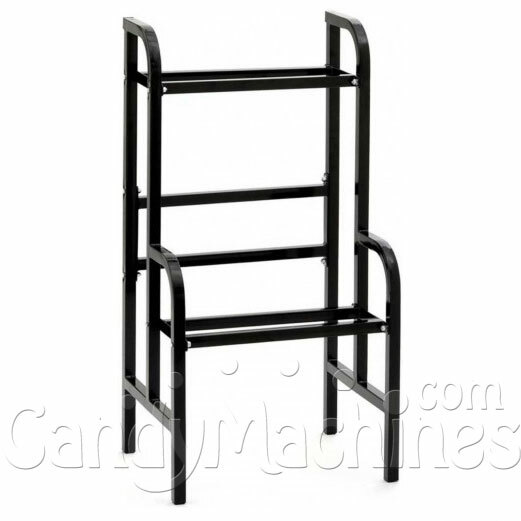 5 vending machines are mounted on a step stand to offer a variety of products so there's always something for everyone. 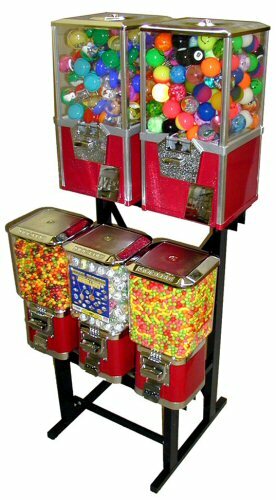 There's candy for adults, gumballs for tweens and teens, toys and super balls for the kids. Keep your customers happy! This is an easy way to make money in your business. We fill it up with lighted toy and we can't keep it filled.